THE NEED FOR A “BIG SAVE” as Blackhawks announcer Pat Foley would say is on over in Lake Bluff. The Lake Bluff Park District Golf Course is facing the possibility of being closed for good, and that is not good. The course is celebrating it’s 50th year in 2018, and one has to hope it’s not it’s last year of operation. The numbers on the financial side have not been good for a while, a couple of years back the park district brought in the golf management firm of Billy Casper Golf in a hope to turn things around. That has not been the answer, and golf course management firms rarely are when clubs are struggling to begin with. Welcome to the Lake Bluff Park District Golf Course. There was over 200 people that came to the town hall forum on Monday night, to speak up and help save the golf course. Some of them were not even golfers, but understand the need for the course and open space in the Lake Bluff community. Flooding the space, that is now a flood plane area, with condo’s to help make some developer rich, doesn’t help the big picture. The park board did a great job of getting some 30+ speakers to the podium and kept the line moving. Many great points were made by the speakers offering the board a variety of good ideas on how to market and promote the golf course. One of the points made by the board is that the golf market is a competitive one and that is true. But in the Chicago area, what business is not. While the board provided a loss number of $5.4 million for a period over the next 12 years, the real truth is, that is likely the loss number if the park district does nothing in the form of improvements over that time frame. The Gog Blog Speaks Out, will have more to say on the Lake Bluff park District Golf Course in next Mondays column. In the mean time if you need more information and wish to show your support for the golf course, visit LakeBluffParks.org.futuregolf. Yesterday the USGA made it official that changes are coming to the playoff formats, of their four U.S. Open Championships. The four championships, the U.S. Open, the U.S. Women’s Open, the Sr. Open and the new U.S. Sr. Women’s Open will have a new playoff format in case of a tie after four rounds and 72 holes of contested play. The new format calls for a two hole aggregate playoff system. Davis also added these thoughts. If the players, two or more are still tied after two holes the playoff will then switch over to the sudden-death format until a champion is determined. 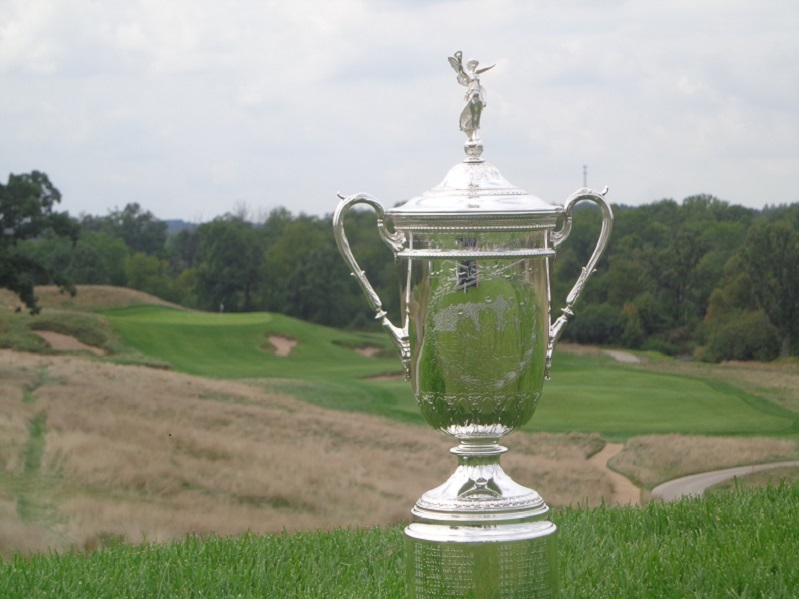 In the 117 year history of the U.S. Open there have been 33 playoffs, and they have used the 18 or 36 hole formats. There have been 12 playoff’s in Women’s Open history, and in 2011 the three-hole playoff format was used for the first time. 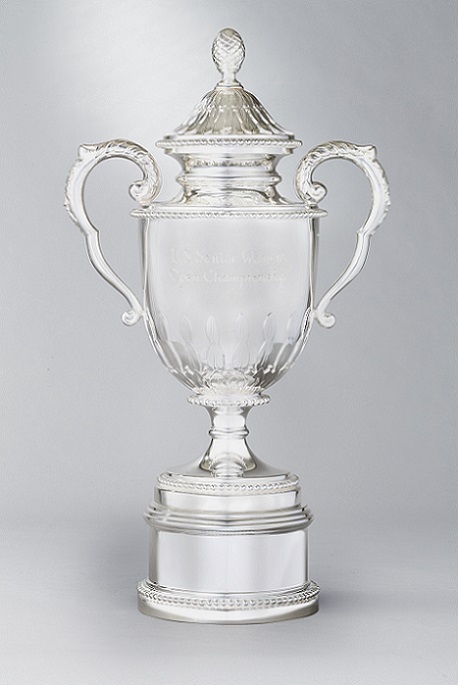 The three-hole format was first used in the Sr. Open Championship in 2002, and has held six playoffs in it’s championship history. FROM RORY SPEARS… I was not a big fan of the 18 hole Monday playoff for a U.S. Open, but the one I experienced in person at the 1998 U.S Women’s Open in Kohler was exciting, and it went on for 20 holes. I am not sure I agree with two holes, maybe is better. It would be great of the playoff could encompass a par 3, a par 4, and a par 5 hole. The real problem that playoffs have is running out of daylight. That at majors is caused by the golf bodies allowing the TV networks to send the leaders off way to late in the day. U.S Opens have had the leaders teeing off at 3 PM (CST). Which is no way to start the final round of an open. The USGA simply needed to get the final group out at least one hour sooner, and tell the networks no twilight golf. RS. THE GOG BLOG by RORY SPEARS, Director of Creation and Content, Follow Rory to McQ’s Dome and on Twitter @GogBlogGuy, and Linkedin and Facebook. WELCOME TO MONDAY after the Chicago Golf Show. It was great to see so many golfers out at the show. The destination properties were there with their booths, the major local courses were there with their booths. Most of the major equipment companies came out to show off their new clubs and let the show-goers hit them. The Illinois PGA had their professionals there to help with free lessons, and let the juniors try out other parts of the exhibit to learn the game. Several of the championships had their trophies there for photo op’s. 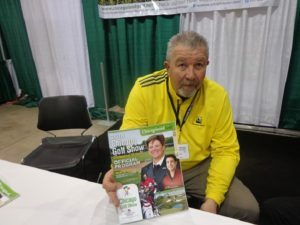 I write for Chicagoland Golf which provided the golf show program, and was the first issue of the year for 2018 for CG. French Lick Resort led by the former Medinah caddie Brendan Sweeney did a great job as show sponsor. THE THREE SHOW RECAP..three area golf shows in three weeks is too much. I would like to see the Tinley Park and Lake County Shows pull their dates further away from the Chicago Show. The Tinley Park show took a little hit because of terrible weather that weekend, Lake County for whatever reason was not well attended, and the Chicago Golf Show seemed to do well. But at what point are there too many shows. I have known about the Milwaukee Show and now I have learned that Madison Wisconsin is also having a show. Toss in a few in Indiana, and more in Michigan, and the resorts and Midwest courses are over loaded. Hopefully all the shows can work together and do some better scheduling in 2019, and or maybe someone needs to come off the schedule all together. WHAT DID I LEARN at the shows. First on the tee there are some new products on the market. Callaway Golf with it’s Rogue Line of clubs is quickly taking the market by storm, it’s hard to believe that anything could beat out the Callaway Epic Driver that i got last year and had success with, but the Rogue seems to be a step up in class. So did the Rogue fairway woods, my Callaway fairway Steelhead woods I got last fall could be on the bench as well before too long, we will see. 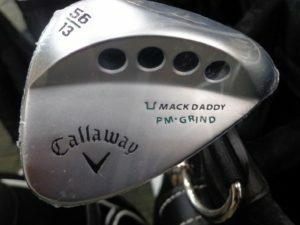 Callawaygolf.com. THE SUNSET VALLEY golf course in Highland Park that has been under renovation will reopen in August, I’m looking forward to touring that property in the short future and reporting back on what I find. The old Highland Park County Club will be closed down for good. IF YOU DIDN’T SEE MY STORY FROM THE WEEKEND, other new products included a new golf energy drink GolferAid, filled with healthy stuff and it tastes a little like Ginger-Ale is my feeling. Bixtar Golf Balls that is quickly gaining traction in the market is headquartered in Elk Grove Village, $19.99 a dozen and yes they are legal. For more information see Bixtar.com. IN THE UP of MICHIGAN, there will be another brand new course open this year. Stay tuned for details on that one, which is part of the Greywalls, Sweetwater and Island Casino golf area. 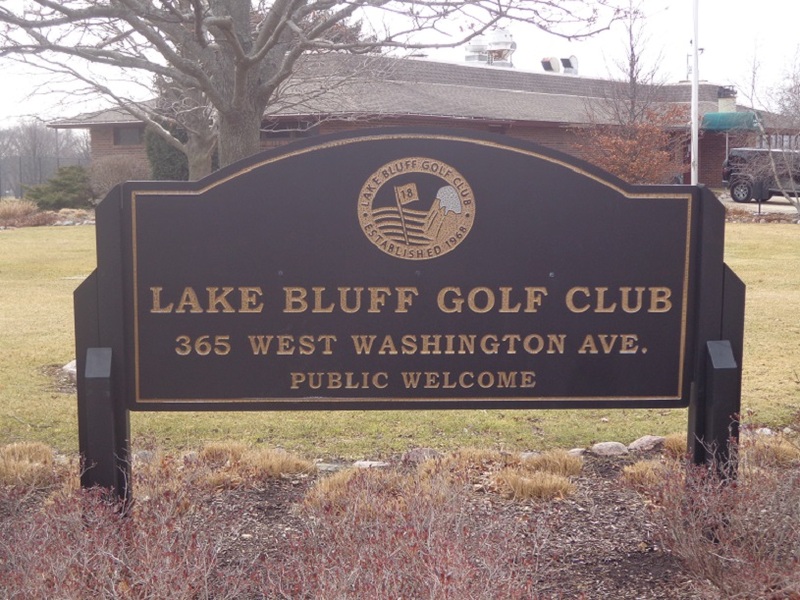 TONIGHT IS A MEETING in Lake Bluff that takes public input on the fate of it’s Park District Golf Course that is celebrating it’s 50th birthday in 2018. 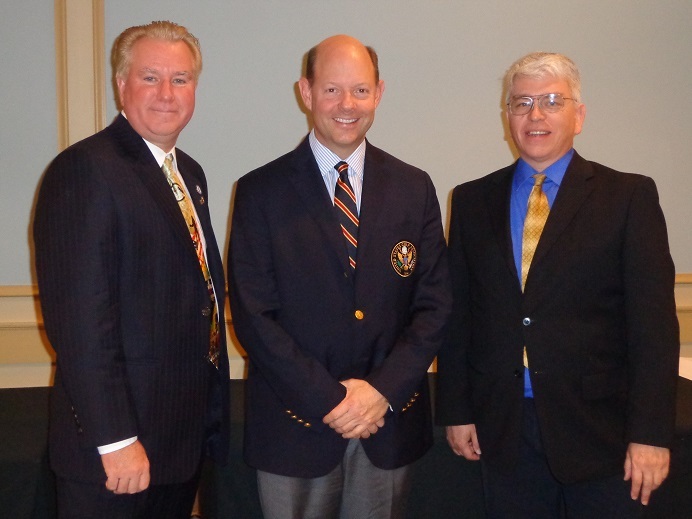 Welcome to the 50th year of the lake Bluff Park District Golf Course. 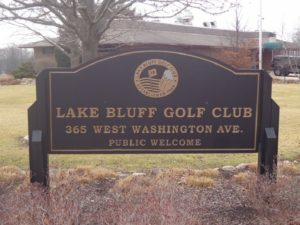 The Lake Bluff Park District is holding a town hall forum tonight, to help the board decide the fate of it’s golf course, which has been losing money for the last few years. LB is good golf course, and I hope it stays open past this year. I talked to GM Dominic Flood last week, who is part of the Billy Casper management group running the course. Flood is hoping for the course to remain open, and it should. Both the course and the clubhouse need some renovation work, but a lot could be done and for far less than some of the 6-7 million dollar projects happening in the area. Lake Bluff is solid enough that 2-3 million would go a long way. I’m keeping my fingers crossed for the course to remain open beyond 2018. SPEAKING OF BEING OPEN, Foxford Hills in Cary, and White Deer Run in Vernon Hills are reporting that they are now open for 2018, I would guess weather pemitting, but if want to play TODAY, they are open and so are courses 1&3 at Cog Hill in Lemont that are open year round. JACK NICKLAUS might be the greatest golf all time, but I’m not on board with his rollback of the golf ball concept. Most amateurs still don’t hit it far enough and need all the help they can get. If the USGA and Executive Director and CEO Mike Davis want to roll the ball back, make it for the tour pro’s only. U of Illinois Sr. Dylan Meyer has been put on the Ben Hogan Award watch list in men’s college golf, which is like winning the Heisman Trophy in college football. Have a great spring Dylan and the Illini. MYRTLE BEACH-SC some call it the golf capital of the USA, because of the amount of golf courses it has, and other golf related things to do. There are no shortages of golf courses that’s for sure, regular golf or even mini-golf, but if you want to golf, Myrtle Beach South Carolina is for you. 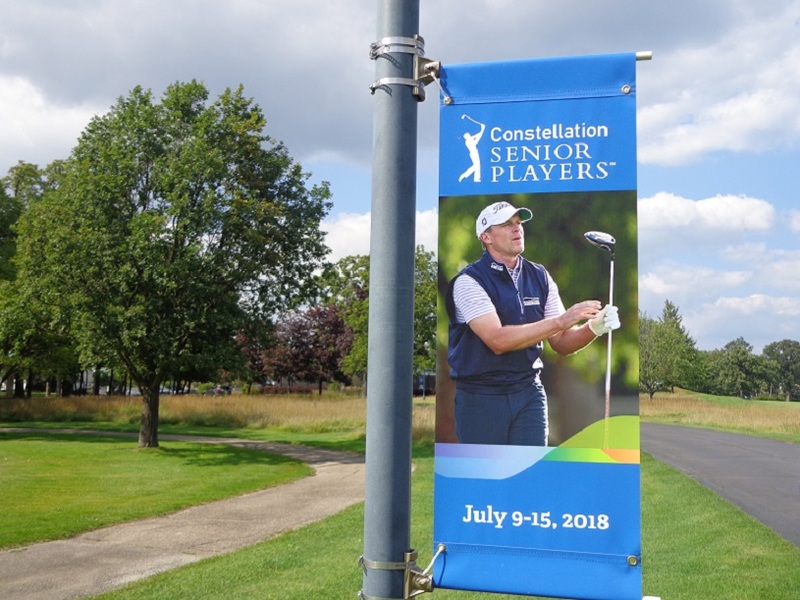 The World’s largest amateur golf tournament is played there in August, the event attracts over 30,000 golfers for the week, and by the time “The Am” is over, regardless of the scores they shoot, everyone has had a fun time, and usually has made a bunch of new golfing friends along the way. Former San Diego State golf team member Paige Spiranac has teamed up with Myrtle beach in promoting the area as a golf destination. Spiranac who generates plenty of followers through her social media pages, is about to get a whole lot more as her photo shoot in Aruba for the Sports Illustrated swimsuit magazine comes out. it’s reported that she has the 4th largest social media following, a figure that numbers close to 2 million, over a variety of social media networks. 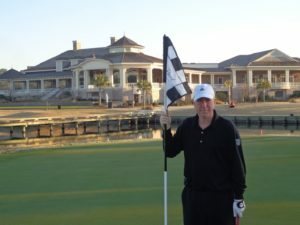 Spiranac plans to play plenty of the Myrtle Beach Courses in the year ahead, and share her experiences on the “Grand Strand” area and PlayGolfMyrtleBeach.com with her many followers. 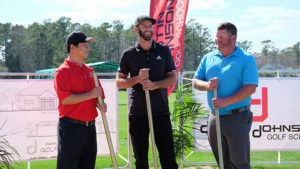 World #1 Dustin Johnson at the ground breaking of his new golf learning center in Myrtle Beach SC at the TPC Myrtle Beach Golf Club. World #1 golfer Dustin Johnson is giving back to his hometown in the form of his new learning center at the TPC Myrtle Beach Golf Club in South Carolina. The new 3,100 square foot building building which is expected to be completed by Memorial Day of this year, will be the home of the Dustin Johnson Golf School and the Dustin Johnson Foundation. Allen Terrell is the Director of Coaching at the Dustin Johnson Golf School, a school that Terrell calls state-of-the art. Terrell says golfers at the Johnson school, we get training on the same technology the professionals on the PGA Tour use. For more information see dustinjohnsongolfschool.com and dustinjohnsonfoundation.org. NOTE*** THE DUSTIN JOHNSON World Junior golf championship is underway. The final round is today at TPC Myrtle Beach. Yuki Moriyama (-2) of Las Vegas, and Alexa Pano (E) of Lake Worth Florida are the leaders on the boys and girls sides heading into today’s final round. The 9th hole at Tidewater Golf Club in Myrtle Beach SC. Tidewater GC is the anchor of a Myrtle Beach Elite Golf package. The package starts at only $352 dollars. The package overall is four days and three nights, with four rounds of golf included. 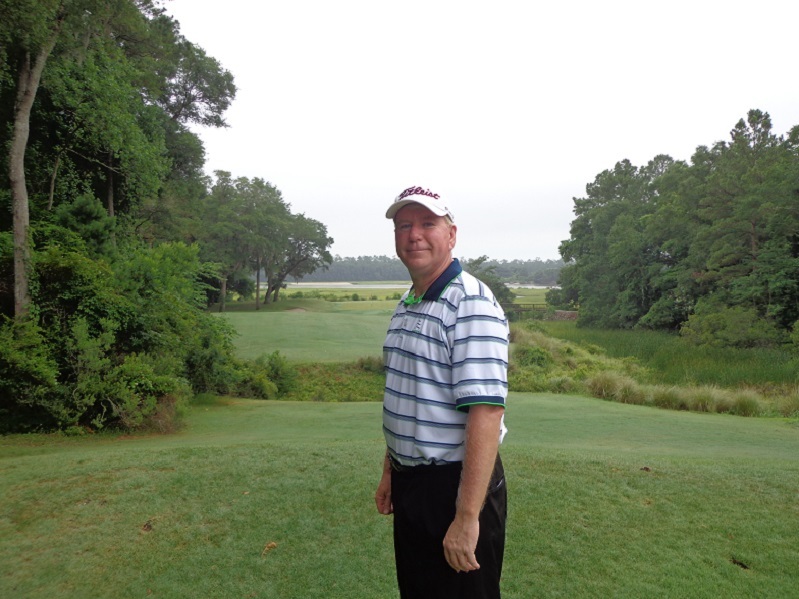 Tidewater has received rave reviews from the golfers that have played there. In 2016 Golfers on Golf radio did it’s first out of state live broadcast from Tidewater GC. 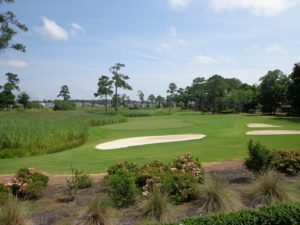 To learn more about the package and to see the other area courses involved, please visit TidewaterGolf.com. AFTER THE MASTERS PRO-AM with Hootie and Blowfish. Tickets are now on sale, see Ticketmaster outlets. 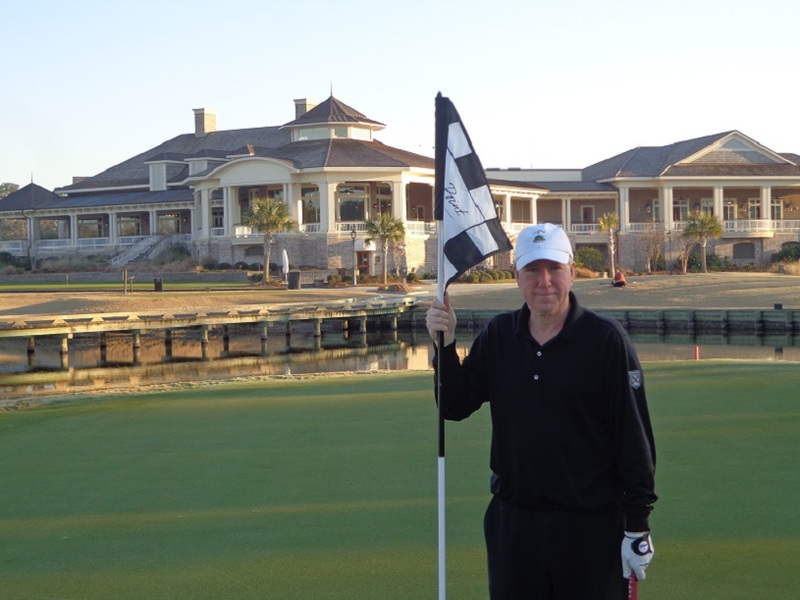 The pro-am is Monday April 9th, and the golf tournament is played on the Dye Course at the Barefoot Resort in Myrtle Beach. The tournament tee’s off at 10 am and the galleries have been know to reach 6,000. For more details on the field this year and ticket info, see HootieGolf.com. FAMILY GOLF WEEK comes to Myrtle Beach from July 18-21 for the 21st annual Father-Son Team Golf Classic. The tournament’ demo day is sponsored by Srixon-Cleveland. Entry fee for the week is $995 per team, the 54 hole tournaments are played over three courses including TPC Myrtle Beach home of the Dustin Johnson Golf Schools. For more details on the F&S Team Classic see FamilyGolfWeek.com or you can call (800)-833-8798. For great golf and plenty of places and courses to pick from visit Myrtle Beach in South Carolina. THE GOG BLOG by RORY SPEARS, Director of Content and Creation. 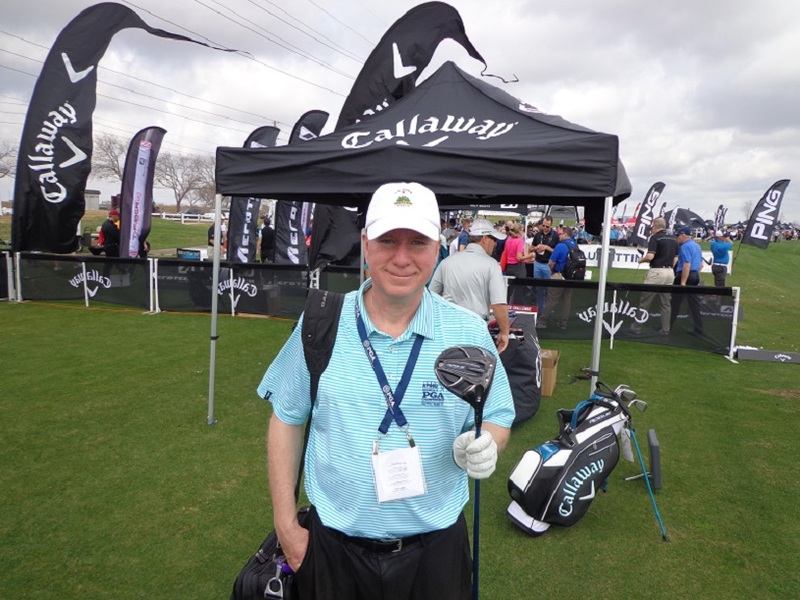 Follow Rory on Twitter @GogBlogGuy, Facebook, and Linkedin with the new Callaway Rogue Driver. The Chicago Golf Show that runs through tomorrow, is full of things to see. There are destination properties that have booths alongside the local courses. There are the club makers letting you hit the products. The Illinois PGA section has free lessons and other exhibits for the junior golfers to have fun at. But one of things that everyone looks for at these types of indoor golf shows, are new products. This year Golfers on Golf found two new products that not only caught our eye, they were catching the eyes of show goers. A large group of show patrons were enjoying cups full of the product while learning more. The new golf energy drink GolferAid. One of the new products at the show was a new golf sports and energy drink called GolferAid. GolferAid is a drink that helps golfers retain energy during their round of golf, or practice workout on the driving range. The latest addition in the golf ball world is the Bixtar Golf Ball, that comes from Bixtar Golf located in Elk Grove Village. Company owner Steven Chong was thrilled to announce at the show that the ball has received a recent USGA approval, so the ball when it fully hits the market will be street or fairway legal. Multiple national publications are starting to pick up the story of this ball that will sell for $19.99. Chong is presenting testing data, that show his ball that sells for $27 dollars a dozen less than a dozen of the Pro-V1 Titleist. Golfers on Golf has yet to test the ball, but will do so as soon as possible, and file a story on our test. For more information see Bixtar.com. Chicago’s largest golf show, the Chicago Show is underway in Rosemont at the Donald Stephens Convention Center. Weekend tickets are $10 for adults, and parking in the parking garage across the street is $15. 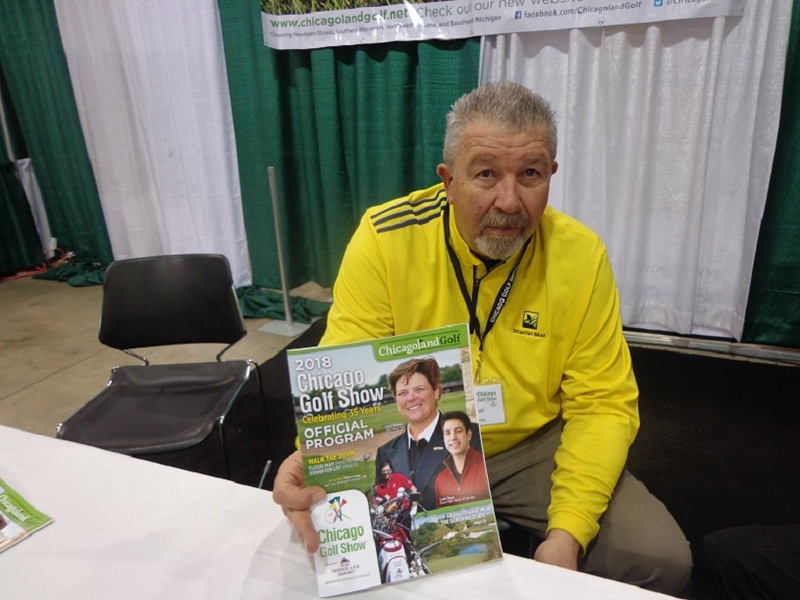 The show program a must read is produced by Chicagoland Golf and publisher Val Russell. There are plenty of stories in the program to get you excited about the golf season ahead. Two features in the program are by Len Ziehm who celebrates 50 years in the golf writing business in 2018. Ziehm takes a look at Florida golf and the Women’s KPMG PGA Championship at Kemper Lakes. 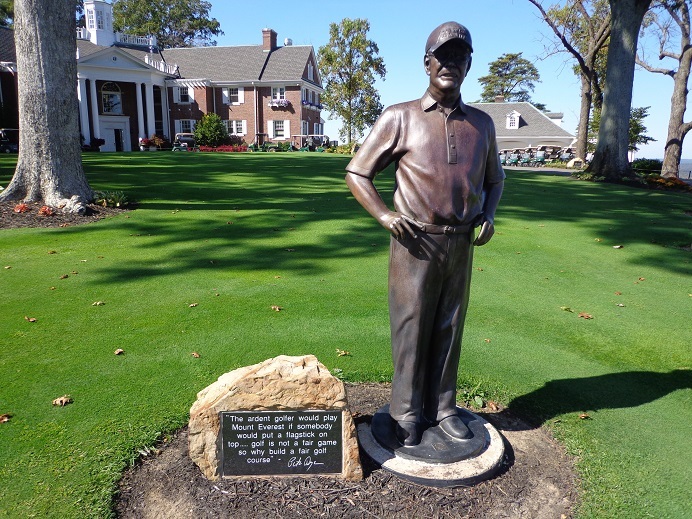 Other features include a look at new equipment, the inaugural U.S. Sr. Women’s Open at the famed Chicago Golf Club, and what’s happening in Pinehurst North Carolina, the home of American Golf. Chicagoland Golf Publisher Val Russell shows off the 2018 Chicago Golf Show program and first issue edition of Chicagoland Golf. Once you enter the show that runs until 6 PM on Saturday and 4 PM on Sunday, you need to visit the French Lick Resort booth. The French Lick Resort will host a Symetra event this summer with the Sr. LPGA Championship returning in the fall. In the meantime, if you haven’t played the Pete Dye Course and the Donald Ross Course at the resort, now is the time to plan ahead and book your stay. Visit Frenchlick.com today. 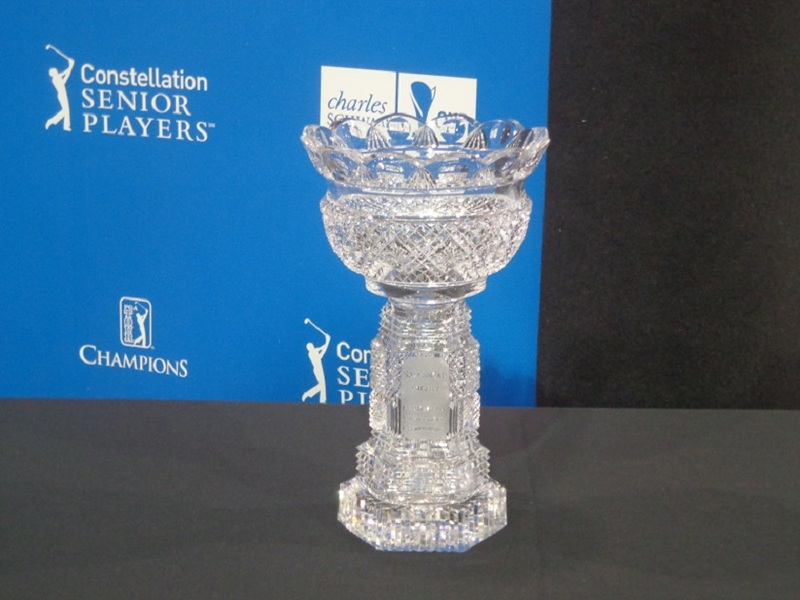 THE SR. PLAYERS CHAMPIONSHIP trophy is on display at the WGA booth, along with the BMW Championship trophy. The Sr. Players will be contested in July at Exmoor Country Club. TROPHIES and there are several on display. The Sr. Players Championship trophy is on display at the WGA booth, along with the BMW Championship trophy. 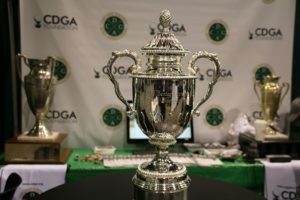 The new U.S. Sr. Women’s Open trophy is on display on Saturday morning at the CDGA booth, that has it’s own trophies on display. The KPMG Women’s PGA trophy is out for viewing in their booth, KPMG/PGA will be held in late June at Kemper Lakes Golf Club in Kildeer. Destination booths include, Michigan properties like Forest Dunes, Boyne Golf and Tullymore St. Ives, in Wiscosin it’s Sand Valley, The Bog, Lawsonia Links, Hawks View in Lake Geneva, other Lake Geneva properties. Goose Island Brewing and Tito’s Vodka, have bars sets up so you can enjoy a cocktail while you enjoy the show. Visit the Illinois PGA Section for free lessons, and several equipment companies have their new clubs out for testing, including the new Callaway line of Rogue Woods and Irons. Tickets at Chicagogolfshow.com or at the door. The long putt contest is waiting for you. THE GOG BLOG by RORY SPEARS, Director of Content and Creation. 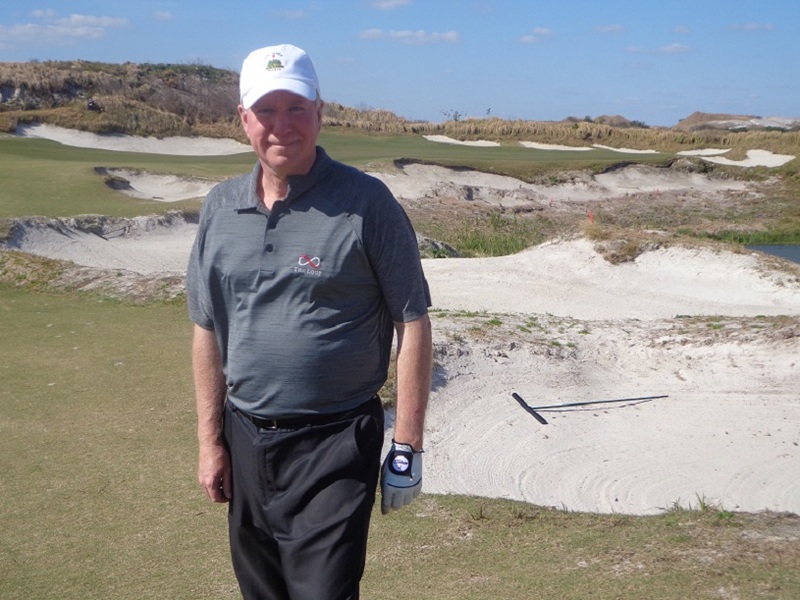 Follow Rory to Streamsong, and on Twitter @GogBlogGuy, and on Facebook, and Linkedin. Streamsong Resort where caddies help you enjoy your round. The Western Golf Association (WGA) and the Evans Scholars Foundation (ESF) the home of putting caddies through college, has announced that Peter Millar one of the major golf apparel designers in the world, has become the official apparel brand for the WGAESF. The agreement is four years, and Peter Millar will fund a full scholarship for a deserving caddie to attend college. The Millar line of apparel will be highly featured at WGA events through the year 2020. The first ever four year Peter Millar scholarship will be awarded in 2018. The scholarship will be awarded to someone who meets the preferences designed by Peter Millar. 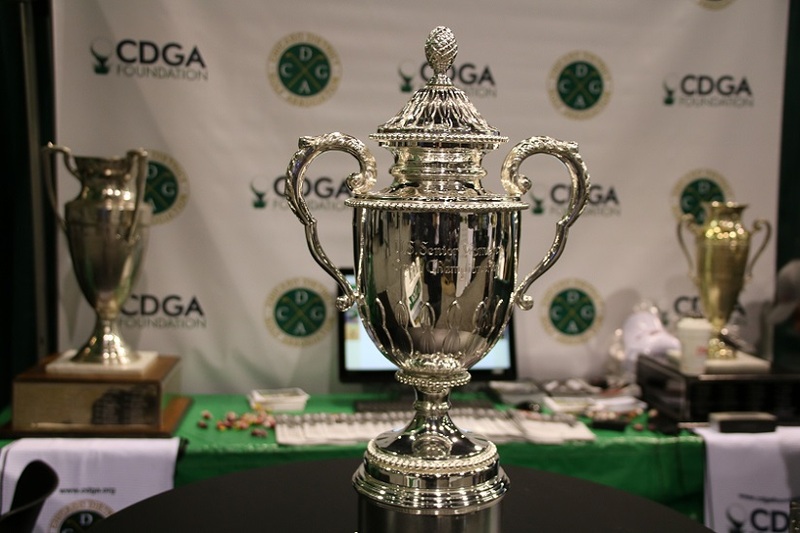 In recent years the WGA has been awarding nearly 850 scholarships to needy caddies. The WGA has a goal of raising that number to 1,000 in the next few years. The Western Golf Association has the following tournaments on their 2018 schedule. The Western Junior Championship in June at the Evanston Country Clubin Skokie Illinois. The Western Amateur Championship at the Sunset Ridge Country Club in Northfield Illinois. In August. The BMW Championship at the Aronimink Country Club near Philadelphia in September. The Senior Players Championship will be operated by the WGA this July at the Exmoor Country Club in Highland Park Illinois. Peter Millar has been a supporter of the WGA for more than a decade as one of the major vendors at the BMW Championship, in terms of pro-am gifts and uniforms for volunteers, and having a solid presence in the merchandise tent during tournament week. Peter Millar will now have a stronger presence at both the Western Amateur and the Western Junior Championships. These feelings on a WGAESF partnership are shared by the Peter Millar apparel company. The Evans Scholars Foundation started in 1930, since then over 10,600 caddies have graduated from various colleges as Evan Scholars. For more information visit WGAESF.com. THE EXCITEMENT is continuing to build over the inaugural U.S. Sr. Women’s Open at the historic Chicago Golf Club in Wheaton. 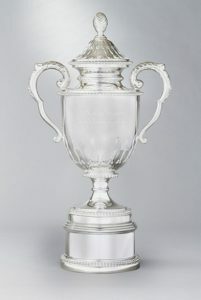 Above are the first pictures by the USGA of the new trophy, which for now is not named, but could be in the future. The USGA has finalized it’s list of exempt players for the first U.S. Sr. Women’s Open that will be played at the Chicago Golf Club in July. The championship is open to all professional females and amateur females with a handicap index that does not exceed 7.4., and will have reached the age of 50 by the first day of competition on July 12th. the field of players will be capped at 120. Online entries for all players who wish to play must be filed between March 7th and May 23rd. The field will compete in a 72-hole stroke-play competition, to be held over four straight days. There is a 36-hole cut to the low 50 players and ties after 36 holes. 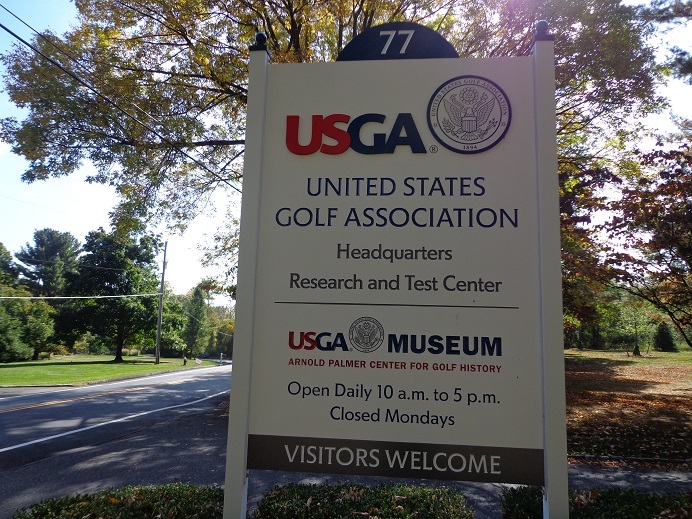 The Chicago Golf Club will be hosting it’s 12th USGA Championship, and it’s first since the 2005 Walker Cup Matches won by Team USA. The following players are from a partial list of player exempt from sectional qualifying. There are 18 different exemptions being offered by the USGA, to view them all visit USGA.org. Donna Andrews, Susie Berning, Pat Bradley, JoAnne Carner, Donna Caponi, Laura Davies, Beth Daniel, Jane Geddes, Meg Mallon, Nancy Lopez, Carol Mann, Liselotte Neumann, Alison Nicholas. Sandra Palmer, Dottie Pepper, Lisa Grimes (in the field), Kathy Baker Guadagnino, Sandra Haynie, Juli Inkster, Betsy King, Patty Sheehan, Hollis Stacy, Jan Stephenson, Kris Tschetter, Kathy Whitworth, Mickey Wright, Trish Johnson and Lorie kane. Due to injuries or recovering from injuries, it is expected at this time that former U.S. Women’s Open Champion Meg Mallon and World Golf Hall of fame inductee Nancy Lopez will not compete in 2018. Follow this site, Chicagoland Golf Magazine and USGA.org for updates on the 2018 U.S. Sr. Women’s Open. THE GOG BLOG by RORY SPEARS, Director of Content and Creation. Follow Rory on Twitter @GogblogGuy, and on Facebook and Linkedin. FootJoy’s Richard Fryer holds the new FootJoy Tour Soft golf shoe. FootJoy that goes with the tag of the #1 shoe line in golf, has brought out new improvements for 2018. Foot Joy also has a full line of socks, gloves and outerwear. The golf shoe for 2018 continues to become a product that gets lighter and more comfortable every season. FootJoy has taken steps to increase the comfort, and reduce the primary wear spots that cause blisters and other foot discomfort. 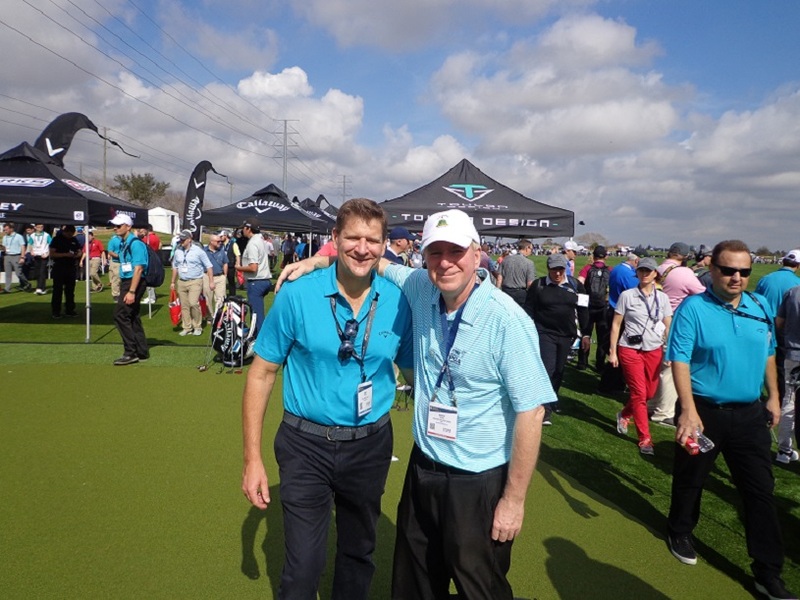 Click here to hear our interview with Richard Fryer of FootJoy. FootJoy’s new Tour Soft golf shoe, gives the golfer a new level of comfort and performance when under demand during a round of golf. For more information on FootJoy shoes and products see Footjoy.com. For the middle of February, it was a fun week for golf in Chicago. 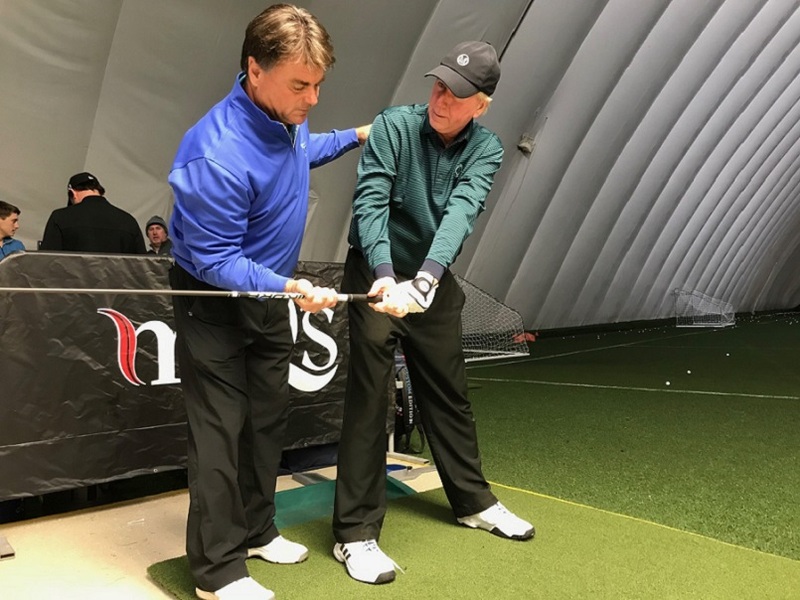 The mcQ’s Dome in Bolingbrook was packed with golfers hitting balls, and many of them checking out the new Rogue line of Callaway Clubs, and the new Callaway line of Mack Daddy wedges, by designer Roger Cleveland. The Northern Illinois Golf Expo was held for the second year at the Lake County Fairgrounds, and when I attended on Friday afternoon, the crowd was small and I had to wonder if three golf shows in three weeks is too much. This week the Chicago Golf Show in Rosemont tee’s off on Friday and runs all weekend at the Donald Stephen’s Convention Center. The equipment companies and destination properties will be out in force. The show again this year is sponsored by the French Lick Resort in French Lick Indiana, home of the Pete Dye and Donald Ross Golf Courses, and the award winning West Baden Hotel, known as “The Dome”. For ticket information visit Chicagogolfshow.com. Backing up to the Northern Illinois Golf Show, maybe it could get moved away from the other shows in Rosemont and Tinley Park. It would be nice to have about 2-3 weeks between all the shows. WHAT CAME OUT OF THE SHOW this past weekend was that the Callaway Golf Team is out working every chance they get. The other companies were nowhere to be found in Lake County. 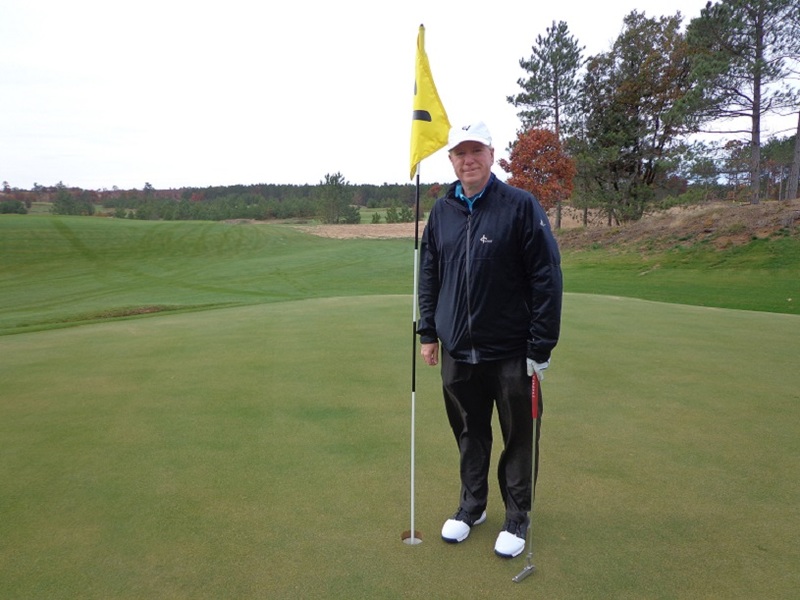 I spoke with new Tullymore Resort head golf professional Gary Lewandowski who has moved over from sister property St. Ives. 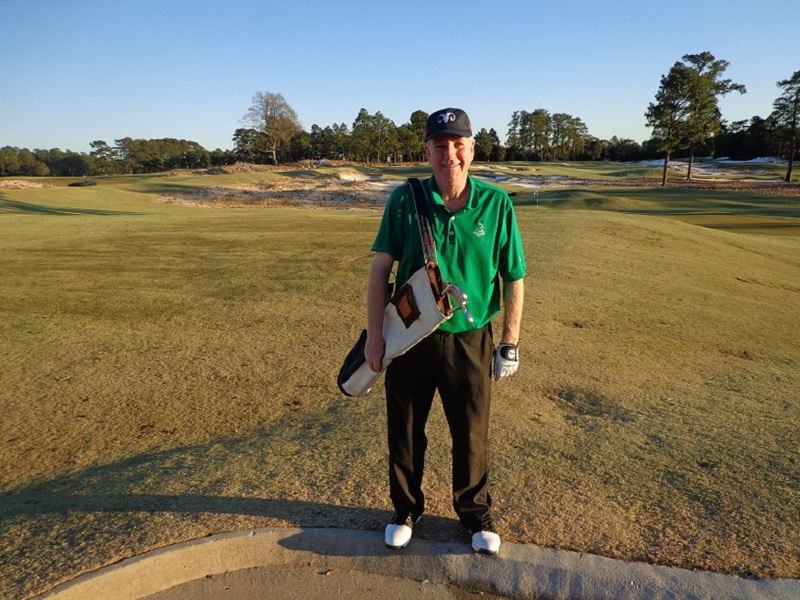 On tap for 2018 is that original Tullymore course designer Jim Engh is expected back for a total review of the course, and to make recommendations for improvement, and to listen to concerns or ideas from the ownership group and professional team. 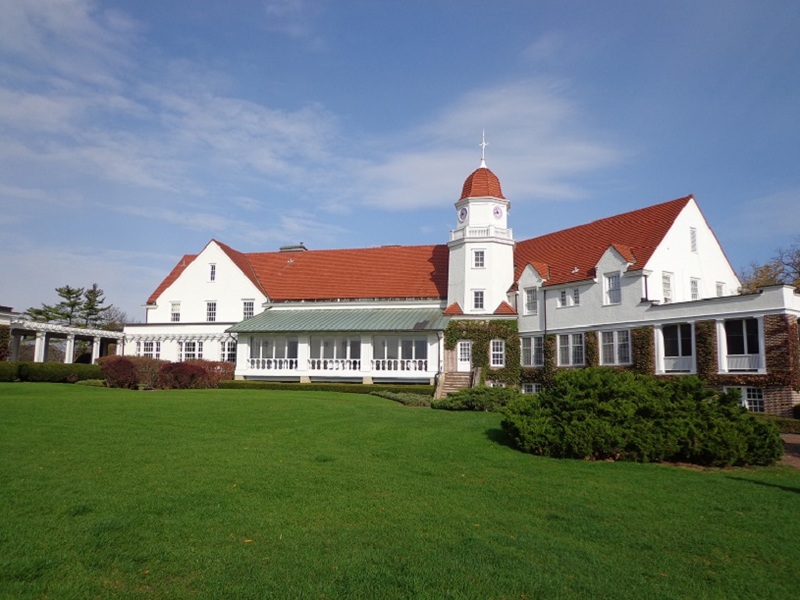 Tullymore has been a popular destination for Chicago Golfers, and it will be interesting to see if major changes get made to the course. What I saw at mcQ’s Dome on Saturday was amazing. The dome was energized with golfers. You could hear the golf balls rocking through the dome and banging off the back wall from the parking lot, which was as full as I have ever seen it, since owner Jim McWethy expanded the lot a couple of years ago. At one end of the dome was the Callaway Golf Team headed up by Chicago area rep Paul Schlimm. I didn’t spend much time talking to Paul, because he was so busy writing orders of equipment that was ordered that morning. From what I’m seeing not only here in Chicago, but what i saw at the PGA merchandise show in Orlando, Callaway Golf is on the move, and it’s connecting with the amateur golfers. The numbers show that their market share is growing. The addition of the new Rogue line has become a game changer. What continues to surprise me, is the lack of presence of other golf companies at the local golf shows. I wonder what this week in Rosemont will bring. Whether it’s been all the snow, or bad weather in general of late, this past week show’s that area’s golfers are ready to get back to golfing. FROM THE COVERAGE I saw on Saturday and Sunday, a tip of the cap or golf visor to the CBS team of Jim Nantz and Nick Faldo from keeping the broadcast of this past weekend’s tournament on track. The golf media are awfully close to falling into the Tiger-Tiger-Tiger trap that could come back and haunt the game. It was a great finish with several top names in contention on Sunday. Nantz’s and Faldo spared us endless recaps of what Woods did on Thursday and Friday before missing the cut. Woods after missing the cut in LA, signed up to play at the Honda Classic this week in Florida, our BIG 3 partner Len Ziehm and his website Lenziehmongolf.com is expected to take in Woods pre-tourney press conference. AT THE SHOW, the first issue of Chicagoland Golf will be out, pick up a copy and check out all the stories by the staff, that include two from Len Ziehm and two more from your’s truly. 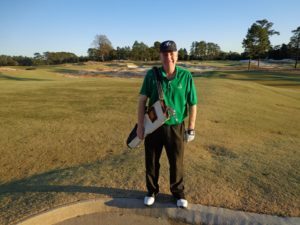 My content looks at the Pinehurst area on the travel side, and the new U.S. Sr. Women’s Open as one of our local tournaments to look forward to.